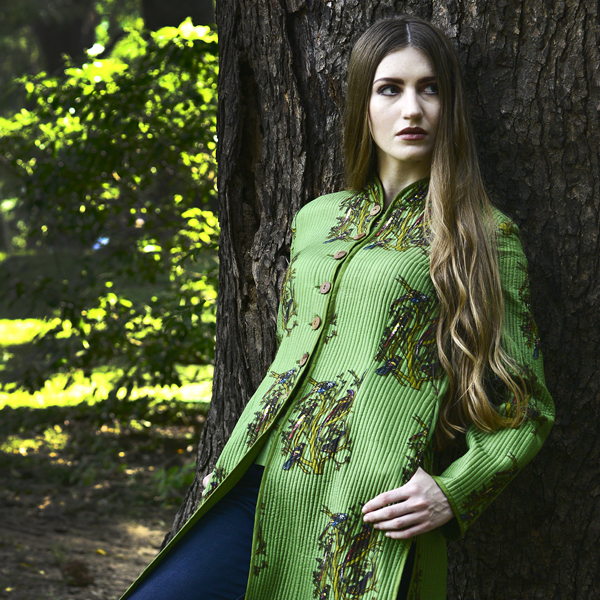 Quilted mogul print silk jackets are indeed very royal in their look with wintery colors. Painstakingly handcrafted using quilting techniques on pure silk with digital print. Combining modern day technology with age old handloom. This collection balances hand drawn birds that are digitised into prints on handloom chanderi fabric. Owning a garment from this collection is like owning a work of art. These ensembles are an amalgamation of various fashion shows in which the super models have adorned 'SONIA JETLEEY' creations and walked the ramp. They are elegant and timeless. Oceanic waves in blue-hues has a spirit to expand the creative horizons with eye-catching waves digital print and embellishments in wearable styles. 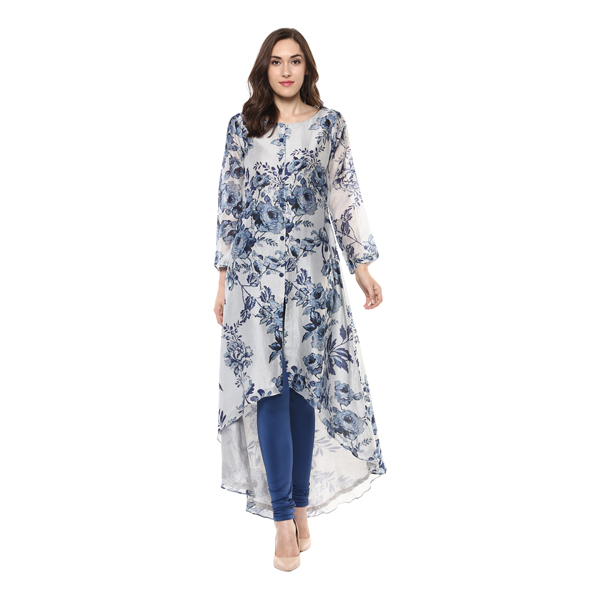 Exotic tropical big garden blooms are the mainstay with easy-breezy silhouettes and chic dresses with digital printed florals and hand embroidery done using applique and sequins detailing. Vintage blue roses in their unabashed femininity bloom up and down the asymmetrical hemlines to lend a bohemian appeal. Surface ornamentation has been done using iridescent sequins.